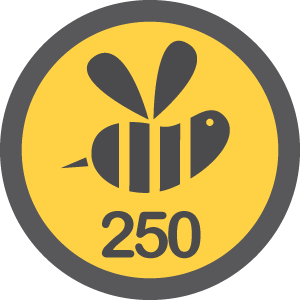 If you are on Foursquare, you'll know one of the most expensive and hardest badges to get is the Superswarm badge which is for 250 or more checking into one location. This Sunday, beginning from 8pm, check into Stadium Nasional Bukit Jalil - where the Kelly Clarkson concert is being held, so we can all get the SuperSwarm. Sapa gi event hado kat sebelah kat Dewan Sri Putra pon leh singgah check in. Heh! Let's make this work, people! Retweet this on Twitter. Remember - This Sunday, April 25, 8pm onwards, check into Stadium Nasional Bukit Jalil to make it a Superswarm effort! Blog about it if you can, apapon pass the word, especially to everyone on Foursquare. AF sinonim dengan sampah msyarakat sangat tahhun ni.joe nak gambar konsert kelly!